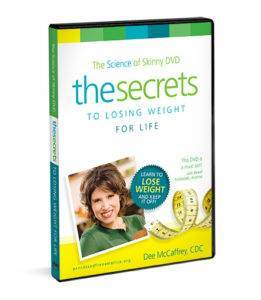 The Science of Skinny DVD! 60 minutes of Dee in front of a live studio audience talking about the dangers of processed foods and the healing nature of whole foods. Be informed on the toxic qualities of artificial sweeteners and the healthful qualities of natural sweeteners. Normally $16.95; Get Yours Now For Only $14.95!